Thanks to our 30 volunteers who showed up to help pick our 5 tons of Chardonnay this morning. 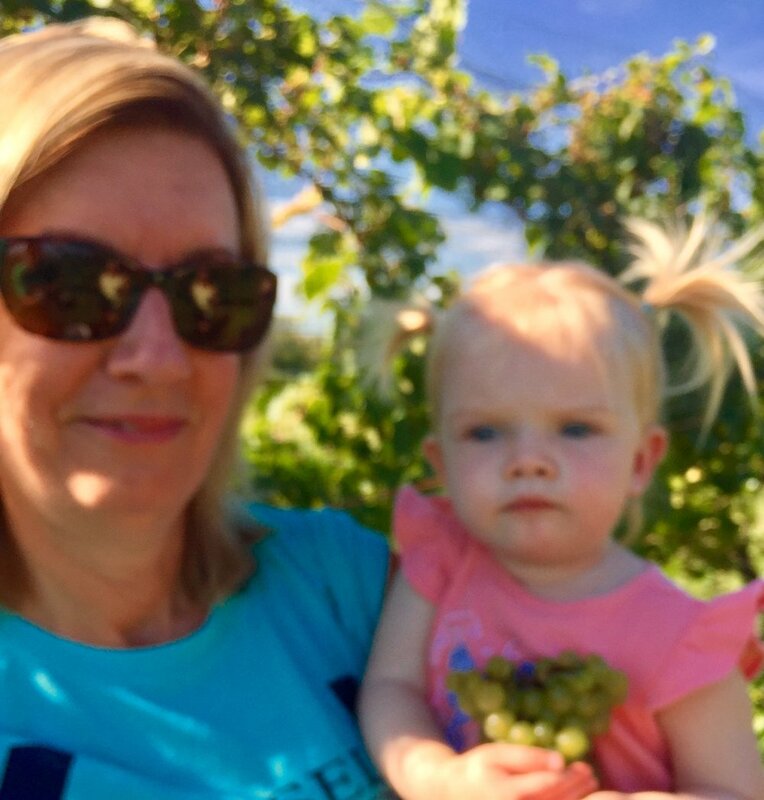 The sun was shining and the grapes looked great. We had such a nice group and enjoyed the perfect weather. Nothing like sunshine and friendly people to make a monotonous job into a fun event. The crew on the one side of the vines looked like a million dollars. Thanks to everyone! And the other side of the row was just as impressive in a different way. These guys got the work done. Thanks giys! Thanks to everyone and looking forward to our next harvest of Vidal Blanc. Final Chance to Pick Tonight and Tomorrow!